I found this on Pinterest (where else) and I just loved the idea. 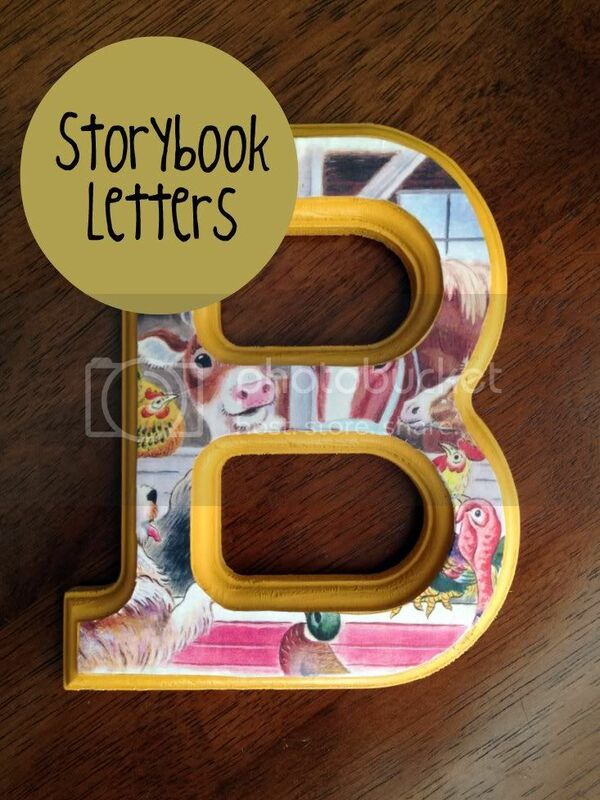 Perfect for his Storybook room makeover. So here is how I created the "B". Sand the letter better than I did. To give it a rustic look, sand the edges a little when it's done. Yes, that is a storybook from a Chick-fil-A kids meal. Who else has been calling it Modge Podge for like ever? It's Modge Podge. I don't care what the label says. 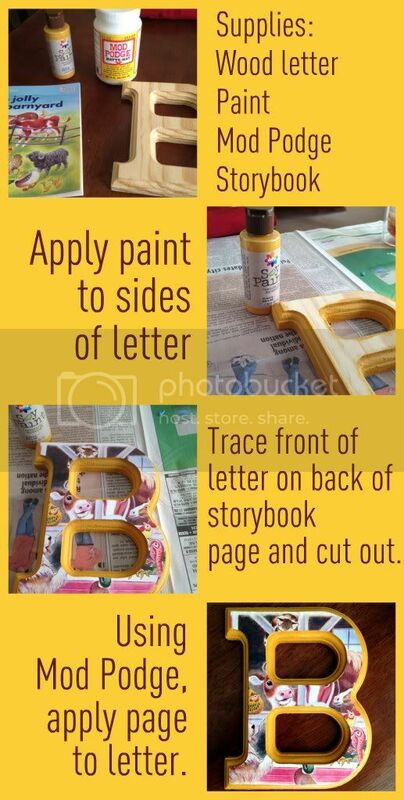 A little tip to the letters, its handy to have somethings like a Popsicle stick around too to help smooth out any air bubbles. I don't know what kind of brush you're using for the podge, but the brushes can make it get icky... fast. If your not grossed out, its easier to just use your finger to slather that stuff on sometimes, especially if you are doing more than one letter. Haha I've always called it Modge Podge! Hilarious. These look adorable btw! I adore this!! Such a great idea.